Lovely cornuta with pale lemon yellow flowers, delicately veined with black & made even more interesting by having a contrasting dark maroon spur. (EM) Excellent new cultivar with elongated 'Spidery' deep lavender purple petals. Has a carpeting habit similar to cornuta minor cultivars from which it almost certainly originates. 15cm. high. (EM) Vigorous new cultivar from our nursery, with elongated cream flowers edged with blue. Good perennial habit. Striking deep pink flowers in profusion all summer & autumn. One of the most beautiful of all Violas to appear in recent years. (EM) A lovely new cultivar, a seedling from V. c. 'Victoria Cawthorne'. The palest possible pink, deeper in the centre with dark maroon whiskers. Typical vigorous cornuta habit. 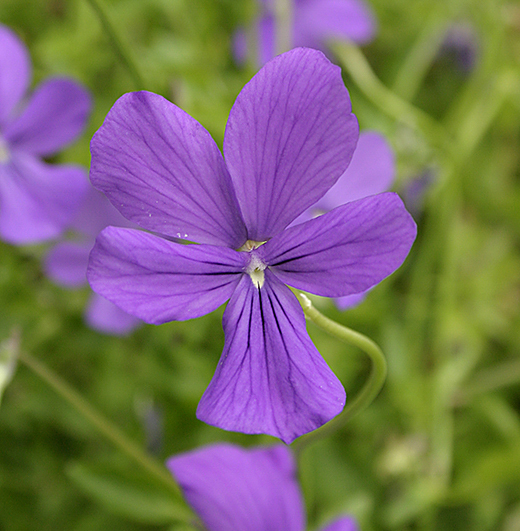 A very vigorous Viola, deep violet-mauve flowers held on long stems. 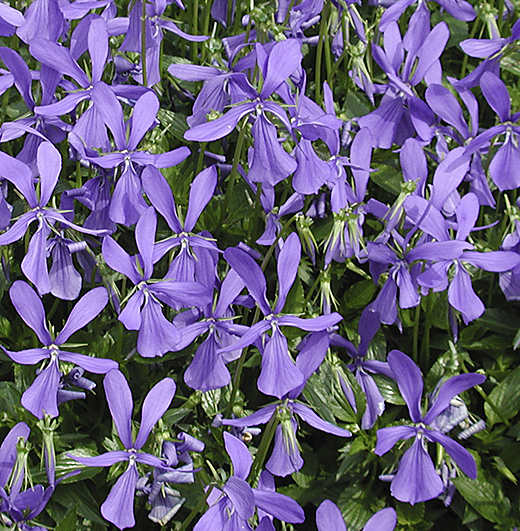 I find this the best and most perennial purple cornuta. A really good floriferous white-flowered selection of Viola cornuta alba. 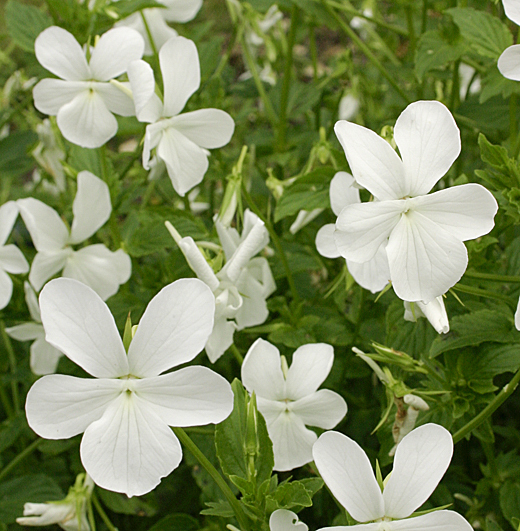 Totally weed suppressing, vigorous, semi-evergreen ground cover for woodland or dry banks. Bright yellow flowers in late spring and early summer. 15cm. high.